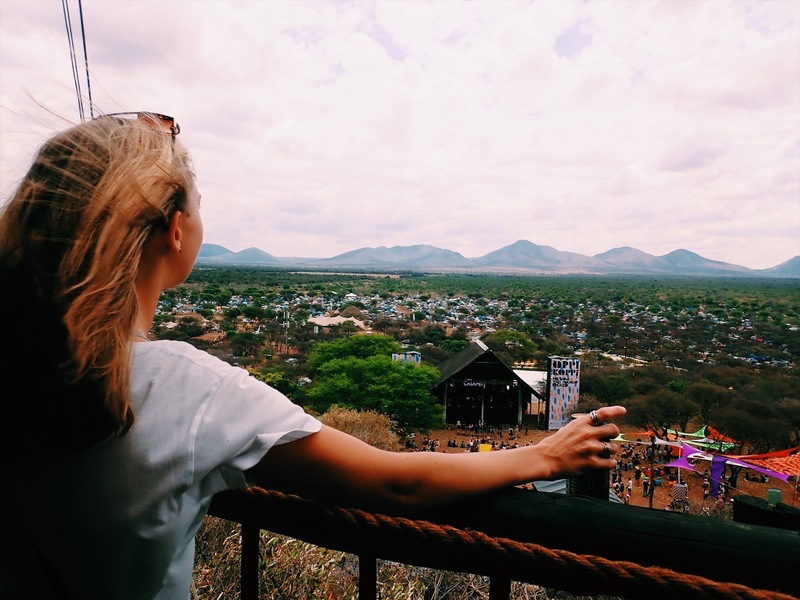 What to expect when travelling to one of the biggest South African music festivals? “The only man I envy is the man who has not yet been to Africa – for he has so much to look forward to" (Richard Mullin). I felt like I was on an African adventure again. Recently, I was lucky enough to travel to a Province I had never been, representing Once in Joburg at one of South Africa’s biggest multi day festivals in the Limpopo Province. I am an Australian girl who has been living in Cape Town for just over a year. This is the first time that I've experienced a national festival. The beginning of many more to come. The festival season well and truly dawned on South Africa with many events overlapping each other around the country over the weekend of October 10. Although there was a festival running simultaneously just outside of Cape Town and headlined by the same artists, I was excited to travel against the grain, over 1500 km’s away. We partnered with Festival Worlds for the first time, road tripping together 3-hours from Johannesburg. "OppiKoppi" is a colloquial abbreviation of the Afrikaans phrase "op die koppie", which literally means "on the hill". It is held on a farm near Northam, a mining town in the Limpopo province. The first ever festival took place in 1994. Driving up to this farm I was struck by the stunning landscape of this region; typically, arid, dotted with Cacti, dry bush, dusty orange sand and rolling green hills. I threw myself into the festival vibe straight away. I sat myself down next to a group who ended up being a band that was to perform later on. They had performed at this festival the previous few years and naturally I was intrigued to find out more about this African event so foreign to me. I had planned to write a blog about my experience at OppiKoppi, but I decided to rather share a view from someone who is both an artist and local; a view point that would end up being the most authentic and true representation of this South African festival. OppiKoppi through the eyes of Justin from the band, Boxer. 1. Describe your band and its influencers. We have our own genre, its called Indie-em-ay. So we're a band (obv) but we like to have a party and our music is an extension of that. Big influences are Foals, Arctic Monkeys, Josh Homme, Kevin Parker, Pond a lot of the Psych scene that has come out of Aus in the last ten years or so and the then Wavves, Fidlar, Thee oh sees etc. But I'm talking tip of the iceberg here, our influences run deep. 2. How many Oppikoppi's have you attended and/or performed at? How has it evolved? It varies, as Boxer, this was our third. In some ways, the more Oppi changes the more it stays the same. This year the change of date was a massive influence on the oppi experience, normally its dusty and dry with bitterly cold nights. Being in spring meant more rain, less dust and warmer temps. With that said the core vibe of Oppi never changes, and that's what makes it so special - lots of friendly people having a massive jol on a koppie in the bush. Yes, I'm sure some would argue no, but I think the curators make a massive effort to keep the lineup diverse and locally relevant. Whatever the scene or the genre Oppi tries hard to find guys making waves and get them on the bill. Personally, some of the biggest surprise acts I've watched have been at an Oppi and always whilst stumbling upon a stage or a vibe. 4. Can you describe one day in Oppikoppi? Basically two main phases, "the first ten" the first ten hours of the day, waking up in a hot tent with a liquid brain and a thousand year thirst, I spend the first ten hours of an oppi day trying to rebuild my life from the previous night's shenanigans. Don't overdo it, you might think your body is ready, but that Limpopo sun is brutal and relentless. Take small sips of your first drink and wait for sunset. That really drunk guy you see passed out at 5 pm, he's the guy who's trying to sprint a marathon. Most people spend the day walking, finding shady spots to chill, taking in a bit of music and finding themselves again. Oppi in the day is a calm place, embrace it while you can. Around 7 things usually start accelerating, "the last eight" you're getting ready for the night by getting warmly dressed - and stuck into the whiskey. This is around the time the headliners start playing. From here till around midnight you stage hop and bar hop, the time passes quickly. The cherry on top is quite literally top bar till around four am. More booze and good convo with some quality tunes taking you into the morning. Enjoy the walk back to your tent, as the mildew settles just before dawn, Oppi can almost be quite beautiful, eerily quiet. Pass out in your tent and jump back to the beginning. 5. Where are you originally from? Where's your happy place in South Africa? I'm Zimbabwean but grew up in Joeys, all the other fellas are born and bread safricans. Yussie, South Africa is really an AMAZING place, so asking for a happy place, how long have you got? Here's my top five: The vibe of Wild Coast, the sea in Durbs, the bush in Kruger, and the view in Cape Town. 6. For the finale, Cape Town or Johannesburg? Haha, we're all from Joburg and chose to live here so I think we've got a bias. Yea the climate is brilliant, the people are just the best - there is very little pretense, and it’s the economic hub of Africa. Cape Town is epic too, but there's something so special about Joburg, like it's a secret or something, kind of like Oppikoppi actually. From far it seems like a big dusty farm but when you're in the middle of it, it can be one of the best places in the world. For everyone contemplating their travels to South Africa, make sure you plan it around the music festivals and being amongst the people. The people – that’s what you fall in love with first.